Vaping is all about variables. The flavor of e-juice in your electronic cigarette will affect the taste of your e-cig, but there are also several other factors that can change how your vape device performs. For example, tobacco, coffee, and chocolate e-liquid flavors tend to taste better when exposed to more heat, while fruit e-juices like strawberry or peach often taste best with less heat. The temperature of the vapor, the flavor of the e-juice at certain temperatures, and the amount of vapor produced—are all technical variables that can have a major impact on your overall experience. Wattage, in vaping terminology, is what determines the amount of heat being produced by the atomizer, or tank. By adjusting your tank's wattage, you can fine tune your vape to suit your specific tastes. Each atomizer has a resistance level, which typically falls somewhere between 1.5 and 3 ohms. To increase the wattage of your vaporizer, you must tweak either the resistance or voltage levels. Devices that allow you to have this kind of control over your vaping experience are called variable voltage or variable wattage devices, also known as APVs (Advanced Personal Vaporizers) or "mods." Vaporizers that use variable voltage/wattage operate just like a standard device does. The only difference is that APVs have a circuit for storing and regulating power from the battery, giving you the ability to adjust the heat of the atomizer/tank for optimal vape quality. Variable voltage - Allows you to set your device's voltage output to the optimum voltage range your cartomizer can handle. For example, if you have a 1.8-ohm tank, you can set the voltage to anywhere between 3.0 to 3.7 volts. If you have a 2.4-ohm tank, you can set the voltage to between 4.0 to 4.5 volts. Adjusting the voltage up or down will change the flavor intensity, throat hit and vapor production of your device. Variable wattage - Allows you to set the power output of your device (commonly between 3 watts and 15 watts). Once your preferred power output is set, the microprocessor will maintain that power output regardless of the resistance or ohm level. That way, your preferred vape taste will remain the same whether you attach a 1.8-ohm tank or a 2.4-ohm tank. One of the main advantages of both variable voltage and variable wattage e-cigs is that they have much greater vapor output than the devices most people start out with when they are new to vaping. Most standard e-cigs use 3.7-volt batteries and 2.4-ohm atomizers, producing around 5.5 watts of power. Some vapers push their standard device further by combining a low resistance atomizer with a larger capacity battery —however, this still can't compete with the vapor production of variable voltage/wattage devices. Variable voltage/wattage e-cigs typically use a 6-volt battery with a 3.0-ohm tank, which can achieve, on average, up to 12 watts of power. Who Should Use Variable Voltage/Wattage? While knowledgeable vapers who are looking for greater control in their vaping experience should seriously consider variable voltage/wattage devices, learning how to vape with an AVP is not as easy as just pressing a button. Plenty of people underestimate how tricky AVPs can be. Also, if you are a light smoker, or you are used to light cigarettes, the throat hit and vapor production of variable voltage/wattage devices may be too intense for your preferences. Lastly, because of the advanced internal electronics in vaporizers that utilize variable voltage/wattage, they are usually more expensive than the more basic devices found in most starter kits. For this reason, new vapers are advised to start with the standard devices so they don't end up investing a lot of money into something that may be a passing interest. As a general rule, more experienced and frequent vapers tend to have the most success with variable voltage/wattage vaporizers. Do you want to have more control over your vaping experience? 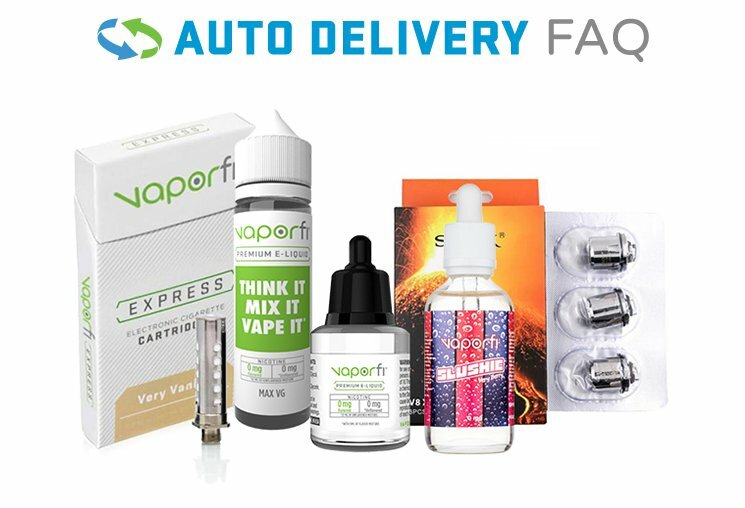 Here at VaporFi, we want you to as well, which is why our wide selection of vape devices come with the latest and greatest vaping technology, spread across a range of top-notch brands. Every device we carry has been hand-picked for its smart, quality design, offering a chance to experience a dynamic, revolutionary, and unrivaled vaping experience unlike any other device on the market today. We invite you to check out our vape device lineup for yourself by browsing our site today. Learn more about vaping and electronic cigarettes by visiting our blog and knowledge center. And as always, please feel free to stop by one of our many locations or contact us with any questions.